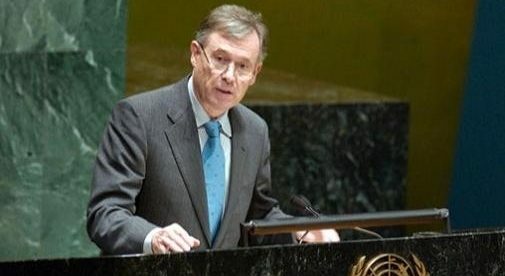 The approach of Horst Köhler, the personal envoy of the UN Secretary-General for the Sahara, including Algeria as a directly involved stakeholder in this regional conflict, is endorsed by the Security Council, which supported, on Tuesday, the German diplomat’s plan to bring together again Morocco, Algeria, Mauritania and the Polisario next March. The new roundtable in March will be organized along the lines of the first meeting held in Geneva on December 5 and 6. However, Horst Köhler would previously meet individually with the four protagonists of the conflict, during the month of February, to work out an “agenda”. The optimism of the Security Council members is fueled by the commitment of the former German president, who said he expected “a good meeting in March”. German Ambassador to the UN Christoph Heusgen has confirmed this commitment by the Secretary-General’s Personal Envoy, saying that Köhler is driven by the desire to achieve “a realistic, practical and sustainable solution” to the Sahara issue. This good environment is also underpinned by the latest developments of the issue, especially after the adoption on January 16 by the European Parliament of the Morocco-EU agricultural agreement, which explicitly includes the Sahara in the Moroccan-European partnership.